The rigid structures of the drones make them prone to crashes at some time or the other. The crash most often leads to severe damage to the drones and in many cases, only part of the drones remain functional. 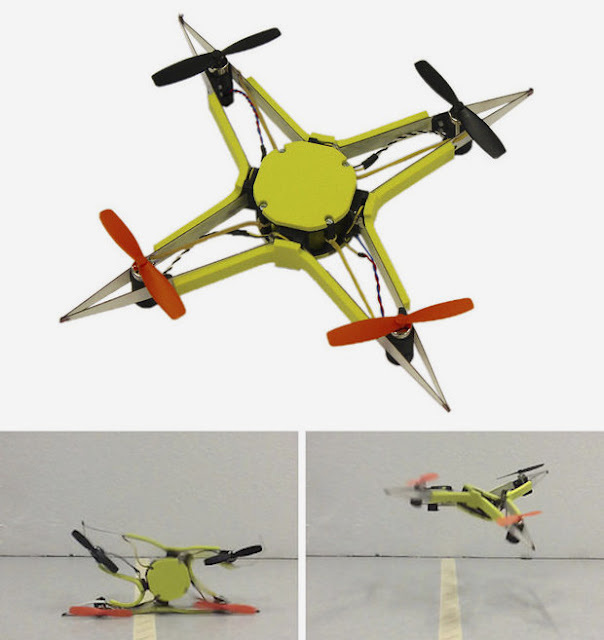 But scientists from roboticists at the EPFL, in Lausanne, Switzerland designed a highly resilient quadrotor that is difficult to destroy. The scientists took inspiration from birds and insects who gets hit to the things occasionally, but they continue their flight without any injury owing to their stiff and flexible biological design. There are few strategies to make drones with impact resistance like surrounding the propellers with a frame of the drone or design drone using flexible elastic couplers that absorb energy during a crash without breaking into pieces. Another strategy of impact protection involves surrounding the drone with flexible rotating cage. Although these strategies offer some level of impact protection but cause all kinds of structural and stability problems. 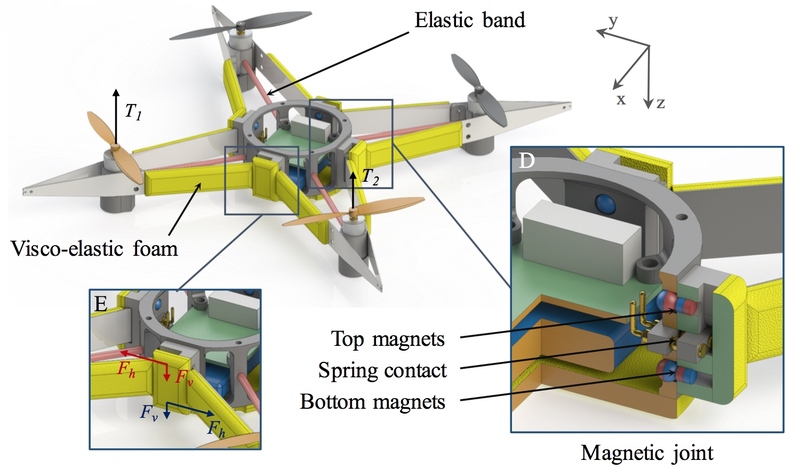 Researchers got the idea to design highly resilient quadrotor came from the insect wings. They took the example of wasp that has stiff and flexible wings. In a collision, it is very important to absorb shock in order to minimize the damage that arises from the collision. Here in wasps, a special joint does the job that allows the entire wing to reversibly crumple during a collision. How does the EPFL'S quadrotor function? Researchers believe this strategy can be applied even to all kinds of robots. Robots are rigid in structure and adding a flexible feature not only reduces the damage during any collisions but also adds a safety feature in robotic-human interactions.